A few months ago I wrote about this but people are only just starting to pick up on it. Maybe it’s because the veil of secrecy that surrounds universal credit is being slowly unveiled and the press are now taking note. 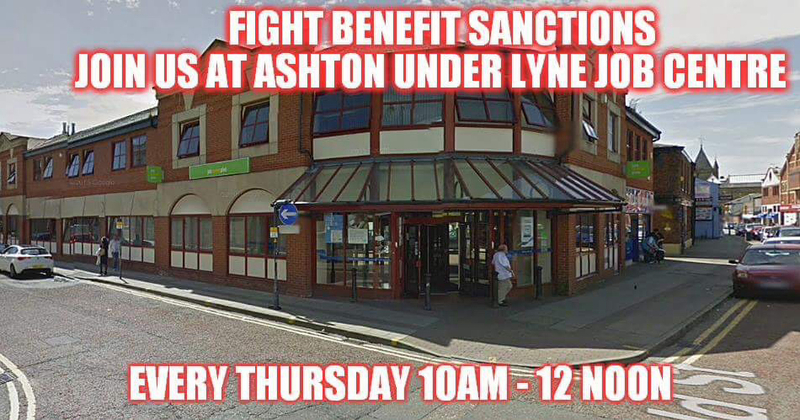 Because Ashton Under Lyne Jobcentre is a universal credit trial Jobcentre we always get the displeasure of trying out their new schemes earlier than everyone else. As a result we get to see the tragedy caused by their trials before anyone else. I do try and spread the word so please share. 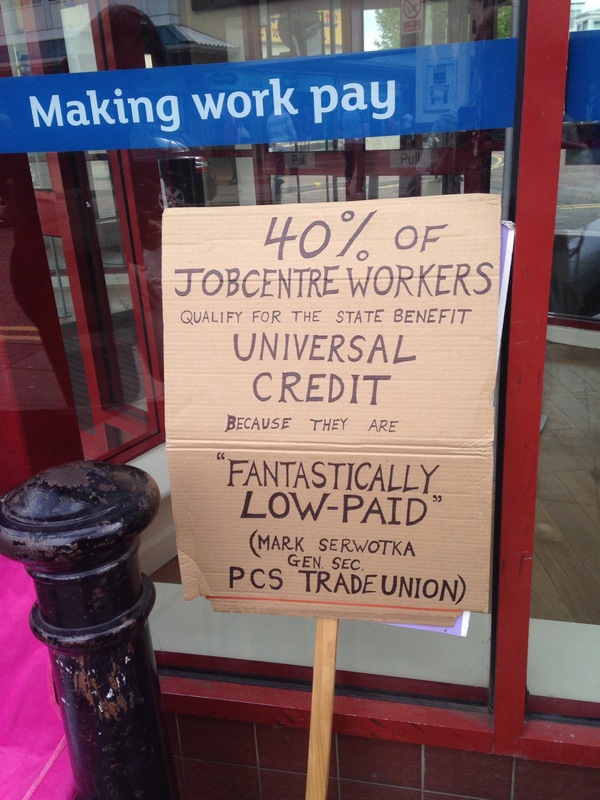 Universal credit is designed to eventually take over our much loved tax credit benefit scheme. Despite its faults and mysterious over payments that they say that people owe they are a lifeline to many many working and non working people. Wages for many are just too low to survive on so we have to claim a top up to survive on. What universal credit does is to replace this. There’s one snag though and it’s a big one. Being in part time employment is just not good enough. You have to sign on like an unemployed person and be seen to be looking for more employment. What happens if you fail to do so through no fault of your own? (Please read an earlier blog of mine to see how easy this is.) Well they sanction all of your top up. This top up includes your housing benefit. You cannot apply for housing benefit on a zero income so there’s no help anymore. Why is this so dangerous? I use the word dangerous because it is. You are in danger of loosing your home. When you are switched onto universal credit you have to wait for a very minimum of 4 weeks. This hardly ever happens because it takes more like 8 weeks to process. By the time you receive your universal credit you will already be in serious debt with your rent and many social housing landlords will start the eviction process. 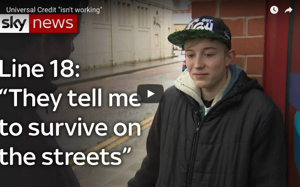 On Thursday I spoke to 2 young men who were being made homeless because of universal credit. One of them had been told that he had to work and go on universal credit even though he was in expensive temporary accommodation. He did as he was told and he’s now homeless. Universal credit is also very individual. No two people will get the same amount and depending on your advisor your conditions will vary. This affects both single people, coupled and families with children. They can also put you on workfare programmes if they think that you are not progressing into full time work fast enough. I said a long time ago that universal credit was evil. People laughed. Maybe they will see now that I am right. Congratulations to John Pearson and the people of Stockport and left unity on the opening of Stockport against the cuts. If you are in the area please support them. John is a good friend of mine and is also a member of Tameside against the cuts. Massive thanks to Boycott Workfare for their actions outside B&M up and down the country this weekend. Please support my blog and keep it going by donating to my PayPal which is seercharlotte@gmail.com I’m on a very low income and we need to continue this work. Being made homeless the next day the universal credit victims and why do they keep stopping my money? Amongst other happenings at the Jobcentre. Reblogged this on Neo-Feudal News. Yep. This is what I’ve kept saying in comments (here I think once). It’s a real fear for anyone, especially if you’re disabled and made to go through a ‘mandatory reconsideration’, and some aren’t even paid the assessment rate when they appeal. Remember, you are never reimbursed for the MR period, so under UC you will not have access to housing benefit on a ‘nil income’ basis. As I’ve said before, either ministers genuinely haven’t thought this through, or they have, knowing full well what the consequences will be: they can further get their greasy trotters on the homes of people so they can move tenants in who can afford the rent, and then sell the property off. I said this from year 1 of the coalition and it looks like I was right. The problem remains is that the mainstream media haven’t caught onto this particular aspect of UC. I was asked by a major journalist a few years back to let her know how my circumstances change, so I may send her an email and ask her if she’d write an article on the matter. We have to get this information out somehow. “It also calls for measures aimed at “boosting labour force participation.” This means making available new sources of cheap labour by forcing those on disability or other forms of pensions back into the workforce as their entitlements are slashed.